are made from fibre spun from recycled plastic bottles. 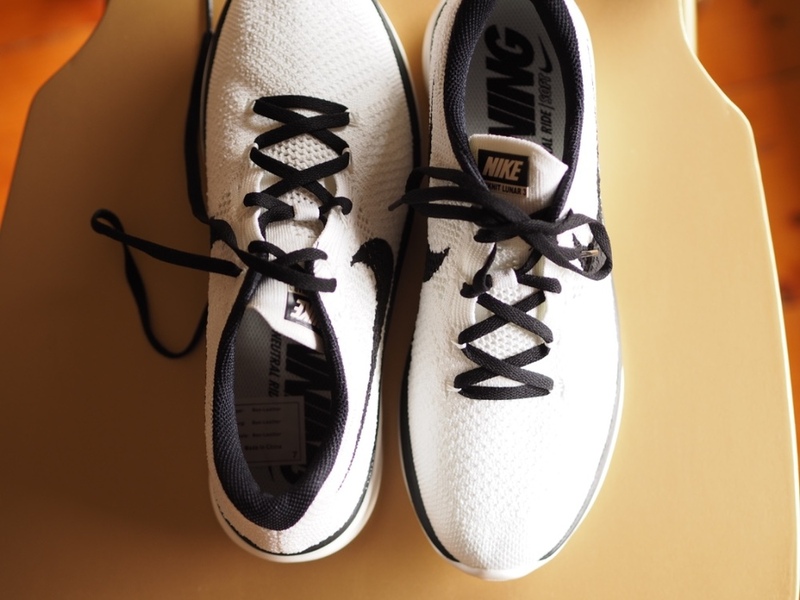 they are knitted from one single piece - reducing waste by about 60%, according to Nike. - with no animal glues or leather used. (Some of their casual shoes still use leather though. and diverted 182 million bottles from landfill. so that's a win on the energy side too. With a lace-like effect & a very lightweight product, the Flyknit runners have proved incredibly successful for Nike. They are a very comfortable runner, and even though white is probably not the most sensible colour, they are easily sponged clean without shrinkage thanks to the non-leather materials. They also come in more (forgiving) colours like black, grey, blue, pink and green. It's exciting to see more and more innovations coming out using recycled plastic bottles & other waste. We can't wait to see what else producers have got in store for us! I'm sad to report that while the upper flyknit component of these Nike shoes has lasted beautifully, the soles have completely worn smooth. Considering I use them for walking, not running, I would have expected more than 12 months good wear from them. So would I recommend them to others? Not really - it's great that Nike are taking an initiative in using recycled materials in part of the construction of their shoes, but that's only better for the planet if the overall product lasts longer than 12 months. So it's a fail on the enviro score card from me.